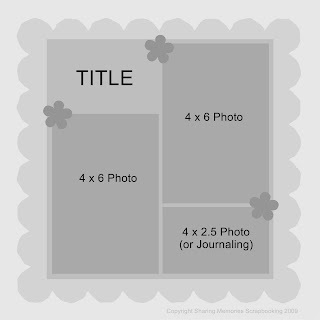 A nice balanced page plan featuring one of the very trendy shaped papers as a base for a tidy little block of title, photos and journaling. Try using a pre-made shaped paper, or get out those decorative scissors or border punches to create your own scalloped paper. 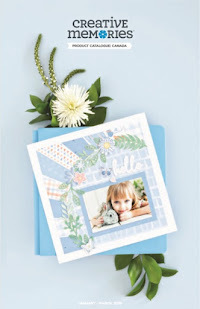 Add a trio of embellishments and you have a great fast page.